Breakfast or hot sandwiches are available in the Clubhouse before the match starts. The Clubhouse can also be used for your prize giving etc. at the end of each match. We will supply keep nets and landing nets (Bring your own landing net handles). If you need more information about group bookings please contact us via the contact numbers provided or info@warwickwoldwaters.co.uk. We will do our best to accomodate every group and make sure they have a day which everybody enjoys and remembers. We also hold regular open matches with cash prizes. The next open match will be shortly after we reopen on 24 March 2019. If you would like to participate in these matches please contact us to reserve your place. With these open matches, as with other matches, breakfast is available in the clubhouse beforehand and the draw normally takes place at about 8.30am for a 10.00 start. The matches finish at the latest by 4.00pm, depending on the time of year. 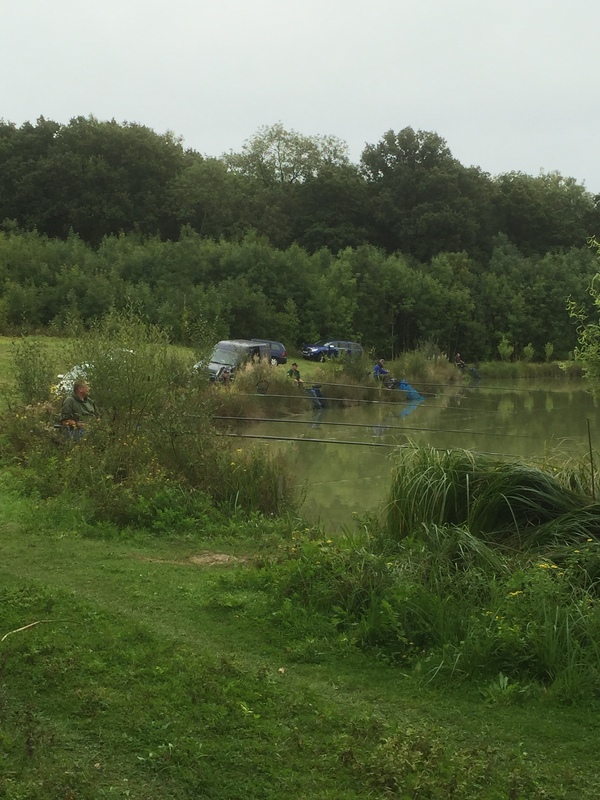 Entry cost is £20, £10 for the fishing and £10 for the prize pool. Match rules are available in the clubhouse and elsewhere on this website and we will supply both keep nets and landing nets.